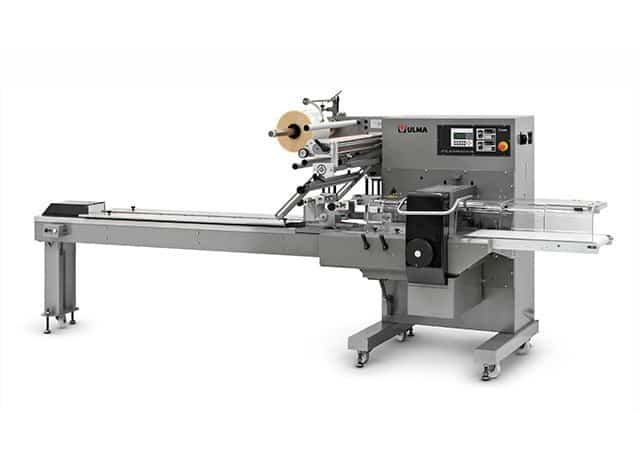 As a leading packaging machinery manufacturer, ULMA is taking a step forward in providing an electronic motion control facility on its entire range of horizontal Flow wrap machines. In the new version of Florida, ULMA’s entry level Horizontal Form Fill and Seal machine, a fully electronic motion control system is included. The main characteristics of its ergonomic design are quality construction and reliability, with easy cleaning and operation. The Florida suits a wide range of applications, and it is the ideal machine for a multitude of applications with small and medium size production requirements in food and non food industries. Al Thika Packaging is the exclusive distributor of ULMA Packaging company in the Middle East. Since 1994 Al Thika has been supplying packaging machineries including flow pack wrapper (HFFS), vertical packaging (VFFS), tray sealer, thermoforming, stretch film wrappers and sealing machine for food and non-food industry in Dubai, Abu Dhabi, Sharjah, Fujairah, Ras Al Khaimah, Ajman, Umm Al Quwain, Al Ain – UAE, Saudi Arabia, Muscat, Oman and the many other Gulf countries. Cantilever construction which facilitates easy access for cleaning. 3 Pairs of rollers for longitudinal film pulling and sealing. Self centring reel holder with a brake system. Infeed conveyor 2 m / 6 1/2’ long. Machine parameter settings (bag length, pusher position) via the touch screen control. Touch screen setting of machine parameters, visible operational status and error messages. Intermittent operation cross seal jaws specially designed for bakery and bread applications. The bag length is regulated in line with the product length via a photoelectric sensor and a timer. It is possible to change the sensitivity of the sensor for various films (cellulose or polypropylene). This version is specifically designed to pack groups of peppers in combination with a weigher. The machine is provided with intermittent operating cross seal jaws. The Bag Length is regulated in accordance with the product length via a photoelectric sensor and a timer. Infeed conveyor with one belt and two pushers specifically designed for peppers. Different types and various lengths of infeed conveyor (for continuous run version). Photoelectric sensor for centring of print registered film (continuous run version). Stainless Steel model for wet environments.